Born on June 11, 1948, in Aktyubinsk, Kazakhstan, the USSR. In 1974, graduated from Leningrad State University, the Faculty of Oriental Studies. In 1982, defended the PhD Dissertation, The Book of Deeds of Ardashir Papakan. The Source Study [Книга деяний Ардашира Папакана (источниковедческое исследование)]. In 1998, defended the Habilitation Dissertation, Pehlevi Zoroastrian Literature. Typological Analysis [Пехлевийская зороастрийская литература (типологический анализ)]. From 1978 up to present, works at the Leningrad/St Petersburg Institute of Oriental Studies / the Institute of Oriental Manuscripts RAS, a leading researcher. From 2000 up to present, a professor at St Petersburg State University, the Faculty of Oriental Studies. Major research interests: Old and Middle Iranian languages, Book Pahlavi, Manichaean Middle Persian, Pahlavi literature, Manichaean Middle Persian and Parthian texts. 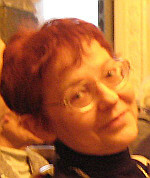 Chunakova O.M. [Review:] Mitteliranische Handschriften. Teil 2: Berliner Turfanfragmente buddhistischen Inhalts in soghdischer Schrift, beschrieben von Christiane Reck. Stuttgart: Franz Steiner Verlag, 2016 (VOHD; XVIII, 2), 473 S. // Written Monuments of the Orient. 2(6), 2017. P. 122–126. The Zoroastrian Texts. Judgments of the Spirit of Wisdom (Dādestān ī mēnōg ī xrad). Creation of the Beginning (Bundahišn) and Other Texts [Зороастрийские тексты. Суждения Духа разума (Дадестан-и меног-и храд). Сотворение основы (Бундахишн) и другие тексты]. Ed. by O.M.Chunakova. Moscow, Vostochnaya Literatura Publishers 1997. 352 p. (Pamyatniki pismennosti Vostoka. CXIV). The Book of Deeds of Ardašīr, Son of Papak [Книга деяний Ардашира сына Папака]. Transcription of the text, translation from Middle Persian, Introduction, Notes and Glossary by O.M.Chunakova. Moscow, Nauka GRVL Publishers 1987. 163 p. (Pamyatniki pismennosti Vostoka, LXXVIII).